My name is Zachary, I’m 17 years old and live in snowy northern Michigan. I love a lot of different things, but just to list a few of them, I enjoy playing the drums and guitar, spending time outdoors or with my family and my two nieces. I also enjoy studying the Bible, writing, and blogging. But most of all, I love Jesus and want to serve Him with my life. My goal through blogging and writing is to exalt Christ, sharing the hope he offers in a world where people are broken and hurting. I want to serve God by serving people through my writing. I believe every person should rise above our culture’s standards and use each day they have to chase this goal–to bring God glory in all they do, by enjoying Him and serving Him with their lives. I’m not perfect and I understand neither is anyone else, so I have a deep desire to grow and help others grow in their faith and love for Christ. I want to grow in my love for Jesus and help others chase Christ with everything they have. I don’t claim to be an amazing writer by any stretch, some days writing is the last thing I want to do. Other days, it’s a joy. I’m committed, though, to be consistent and to work hard on the days when I’d rather not write. So go ahead and follow along, I try to be real in my writing, I try to make it helpful. And, most of all I try to exalt Christ and to awaken in you, my readers, a deep hunger and thirst for Jesus. Join my email list and get exclusive content. I publish new content on my blog twice a week on Tuesdays and Wednesdays. If you’re part of my email list you will receive something new every month written just for you. These will be well thought out articles written to help you and to encourage you in your walk with Christ. If you would like updates when new posts are published and don’t want to miss out on all the fun, enter your email in the form below. I hate spam and promise never to give away your email or send you stuff that you didn’t sign up for. Hello, thanks for this! There are definitely many opportunities for young people to get connected with the church and grow in Christ. I’m glad that you’ll be reading, have a great week! 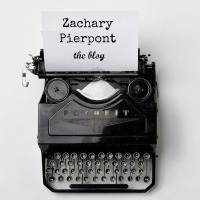 Thanks for stopping by mine, Zach 🙂 I find it so wonderful that a young man is so keen on spreading the word of Christ~ Cheers to your blogging journey! absolutely fascinated by this blog, especially by the idea of a bible study that focuses on a few verses at a time rather than the usual chapter-a-day routine which i find difficult and superficial. Looking forward to reading more. God bless you young man, write on, be courageous and inspired in the Word of God. Hi Zachary my brother in Christ, its good to know that a 14 year old is doing so much for the kingdom of Heaven. But just for curiosity when did you started this blog. Thank you! Uhhh… Let’s see, I think I posted my first article in March 2015. And I started the blog shortly before that. Thanks for this! I’m glad to hear that you’ll be reading. I hope you find it edifying and helpful for your growth in Christ. Thanks for commenting! Hi Zach, thank you for visiting my blog. And thank you for making me praise the Lord with a grateful heart. I just wanted to see your blog and saw your Bible study blogs and thought, “Oh my, there is so much here. I should take sometime tomorrow and have to go through them step by step.” After making that decision, I looked at “About Me” and astonished to find that you are just 15. I really praise God for you. May the LORD bless you according to Psalm 119:98-100. God bless. You’re welcome, I appreciate you taking the time to read my blog. I hope you enjoy your reading. Have a good day! Thank you for visiting kingspeech. I will be back to read more of what God is showing you. Keep up the good work. Blogging is good to clarify our mind as we write, and to share with others. Thanks, yes it is, I really enjoy it! I love photography and writing. I wish I had learned at age 15 to use my talents to glorify God. I pray that you will remain steadfast — faithful and true. A fellow Michiganian! 😀 I spent more than half of my life in Michigan, but have emigrated to Arizona. It is nice to meet you. I enjoy reading your blog. Keep it up Zachary! You have great influence for Christ in the circle of your peers and others hungry to know more about Jesus. It’s neat to ready your stuff. Keep it up! Love you, man. Thanks for reading and for the encouragement. Love you too. Just came across your blog and I am looking forward to learning more about you and the blog page. Would love to connect with you more. Lord willing, talk more soon! I’m a writer as well (former part of YWW)! What kind of writing do you do besides blogging? Looking forward to reading more from you in the future! Hey Koryn! That’s awesome you were a part of YWW, it’s really amazing. Thank you so much for reading my blog and subscribing to my newsletter! Aside from my blog, I don’t write much. I’ve written a guest post on therebelution.com and will be published on there again next week. But other than that, I mostly write on my blog, and of course I’ll be writing for my upcoming newsletter.